For this rotating collection, I have selected a few articles—most of them written by me—that I hope will be of broad interest. Please check back often for updates. Sunset editor Elaine Johnson visits my Napa kitchen to learn how to make yogurt from scratch. Now a culinary capital, Mexico City deserves a week or two at least. But if you have only one day, here’s how to spend it. If you’re coming to taste the wines, make room for some cheese. It took a while for Napa to grow on me, but now I’m as happily rooted here as the grapevines. Here’s why. Good wine, a garden and a big kitchen to play in. That’s life in a nutshell around here. Caterers say more couples are requesting a cheese course at their wedding feast. Here are a few tips on how to make it memorable. This rugged French island offers landscapes and flavors you won’t find anywhere else. Bypass Sardinia's coastal resorts to find the soul of this scenic island: rustic sheep’s milk cheeses, charming country inns and seafood to dream about. 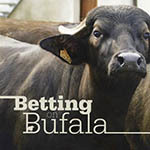 Water buffalo milk makes Italy’s best mozzarella. And now two brothers are using the rich bufala milk for a range of inspired cheeses. Up from nothing, domestic sheep’s-milk cheese is finally gaining traction. This feature examines the trend and highlights some of the best. In rural Calabria, shepherds still make ricotta the traditional way. Learn how one shepherd does it, then make your own version. A primer with recipes. With celebrity TV chef Sara Moulton, I guide you through some do's and dont's when entertaining with wine and cheese.